This high quality, full-sized wearable costume Viking helmet is forged from 18 gauge steel and is ornamented with brass eye pieces. It is hand-crafted, therefore differences in appearance and size may occur. The Scandinavian Norsemen were great ship builders and sailors who are particularly remembered for their bloodthirsty raids throughout Europe. Historically speaking, their Viking helmets did not have horns, but man do they look cool! 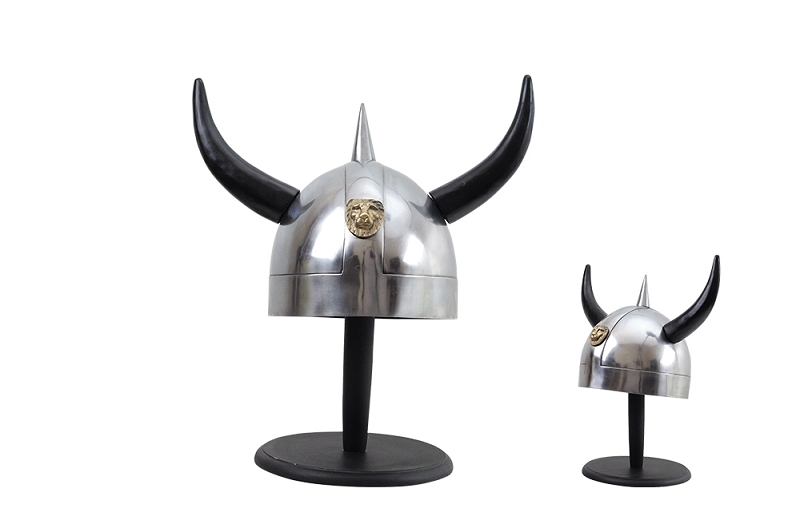 The Viking helmet we have is full-sized and wearable with any Viking costume and will look great on display in any home or office medieval decor. This item ships by itself in a box. Your helmet does not ship with a stand.